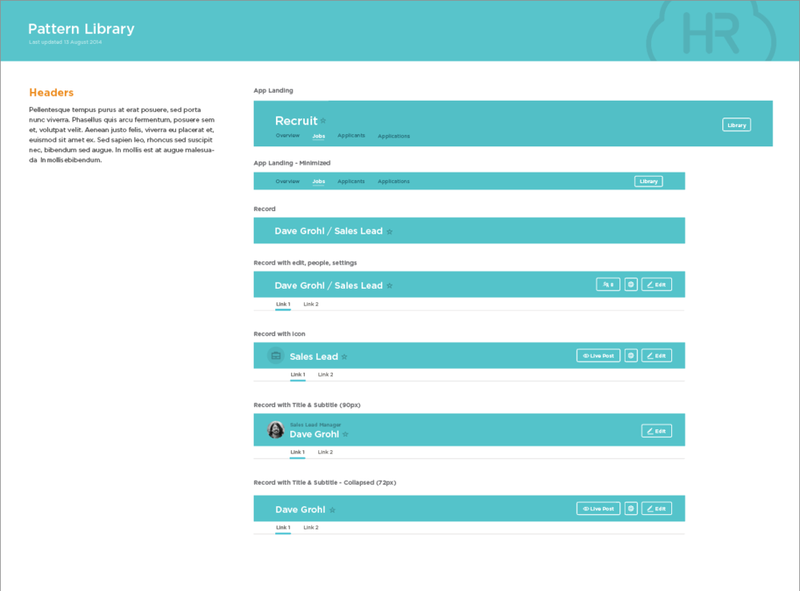 HR Cloud is a Human Resource Management System software company focused on the private sector. Onboarding new employees is one of the core functions of HR software. One of the forms required for onboarding is employee history. This project takes the information needed from the existing paper forms and translates it into a dynamic and easy to use digital form. This project required me translating the existing paper form into a digital form. I utilized the capabilities of the medium I was working with to make the process of filling out employment history different from how someone would fill out a paper form. Users filling out a form digitally have the ability to get direct feedback during the process; this allows reassurance that the form is being filled out correctly and completely. It could have been too easy to simply place the fields provided on the paper form into a digital version and leave it at that. However, utilizing the capabilities of the medium I was designing for allowed the ability for a more dynamic form which users would feel comfortable filling out because of direct feedback. I had to establish a process which provided all the necessary information, while improving upon the basic form itself. I looked into how existing standardized work history forms were formatted and the required information they needed to gather. I took this information and translated into a digital version which utilizes the media it is on. The employee history form exists within the HR Cloud software. It follows the established pattern laid out for the entire system. The design department at HR Cloud has all of the elements from the pattern library in a bank which we can pull from to use in new designs. This allows us to skip over the wire framing stage of designing (most of the time) because all of the patterns we need are already created. The team is able to deliver designs in a shorter time frame and high-fidelity mockups allow the project managers and developers to understand a design better than looking at wireframes. Employee history is a timeline of their past work experience. Since history is a timeline, the information needed to be presented as such. An employee fills in their work history, including any gaps, to complete the timeline and are given visual feedback as an indicator that they have completed the form. Each step is filled out by entering all specific information within a flyout. The entry is then summarized on the work history timeline. This form is for end users; meaning designs had to be simple enough for a wide variety of users to understand. Animations assist with understanding where a user is within a system. Users can see how pages shift and can then know where information is sprouting from. Human Resources software involves a lot of legal certifications for compliance. This form integrates an e-signature in order for the user to certify that all information is true and accurate. It is completed after the history is filled out; in the same way that paper forms provide a signature at the bottom of the page. User polls revealed that our customers like to keep paper copies of their files. The user base still doesn't fully trust going entirely digital, they like to print their forms for filing as paper records. Therefore, a print version of this form needed to be designed. While this project was one of the smaller ones that I have worked on, it is still a very important document involved with onboarding new employees. It is seen and used by every employee hired by an HR Cloud customer and they are now able to store this valuable information within the system for each individuals records.